Belton at Belton with Browston01493 846346work VillageBelton near Great Yarmouth is a small but pretty village on the outskirts of Gorleston-on-Sea. It's quiet but convienent location makes it a popular location with visitors using the holiday parks in the area. Belton near Great Yarmouth is a small but pretty village on the outskirts of Gorleston-on-Sea. Only a few miles away is the hustle and bustle of Great Yarmouth & Gorleston or the beautiful & peaceful Burgh Castle & Fritton. 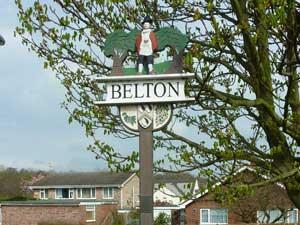 Take the A143 out of Great Yarmouth and follow signs to Belton.